Petaluma Police Chief Patrick Williams is proud to announce the promotion of Sergeant Ken Savano to the rank of lieutenant for the Petaluma Police Department. Lieutenant Savano started his career at the department on August 15, 1994. Very early in his career he was recognized as a law enforcement leader. As an officer with only two years on, he was selected to coordinate the department’s newly established Serious Traffic Offender Program (STOP). Within six months he had molded the STOP program into one of the highest acclaimed law enforcement programs in the county. Lieutenant Savano’s dedication and commitment to public safety and his personal character earned him recognition as Officer of the Year in 1998. He was promoted to Sergeant in 2002 and served as the supervisor of the Petaluma Police Hostage Negotiations Team (HNT). His contributions as HNT leader resulted in team development that was recognized by law enforcement agencies throughout the region. Lieutenant Savano also served as supervisor of the PPD K9 team and his commitment to our department and our community ultimately earned him an assignment as the supervisor of our Traffic Division in 2008. As Sergeant of the Petaluma Police Traffic Division, Lieutenant Savano earned some of the most significant recognition of his career to-date. He and his team earned many formal commendations and awards from traffic safety organizations at the regional, state and national level for each one of the six years he served as the Traffic Sergeant. Lieutenant Savano led the AVOID the 13 DUI campaign in Sonoma County for six years and his team was responsible for developing the most innovative and effective DUI reduction strategies in the history of our organization. 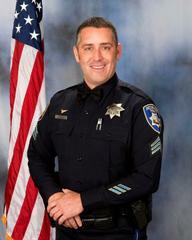 Lt. Savano has a Bachelor of Science degree in Business Management from Saint Mary’s College in Moraga. He graduated from the Sherman Block Supervisory Leadership Institute in 2005 and completed the Peace Officer Standards and Training (POST) Leadership Development course in 2013. In addition to his law enforcement commitments, Lt. Savano has served on the Salvation Army Board of Directors, he has participated in activities supporting Mentor Me Petaluma, Petaluma Boys and Girls Club, Special Olympics and has served as Law Enforcement liaison to United Anglers of Casa Grande High School Adobe Creek Restoration Project and the Petaluma River Project. Chief Williams offered, “The promotion of Lieutenant Savano comes at an important time for our organization and I know his leadership and commitment to excellence will benefit the entire Department.” Lieutenant Savano’s promotion was the result of the imminent retirement of Lieutenant Michael Cook.